Amy Rigby (US) see: Samples etc. Rilo Kiley (US) see: Samples etc. LeAnn Rimes (US) see: Samples etc. 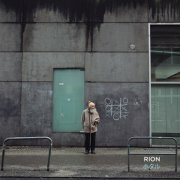 Rion are the duo of Ian Hawgood and Ryo Nakata, whose Hotaru (a transliteration of the kanji - translates to Fireflies) is an experimental, avant-drone album, for want of a better description. No discernible tunes, but that's quite certainly the point. It would take better ears than mine to spot any noticeable difference between the tracks, mostly comprising treated harmonium, guitar and tape effects, all subjected to Nakata's laptop manipulation. Hawgood plays Mellotron on two tracks: the upfront flutes on Hope, stuck through a delay, sound real enough, although the background ones on Hanabi (Fireworks) could just as easily be sampled. Given that the album was recorded over a three-year period, that's quite possibly the case, I suppose. Not the easiest of listens then, with one decent Mellotron track. It's difficult to find any info on artists like Miguel Ríos in any language other than their own and my Spanish isn't exactly up to scratch (ha! ), so going by discographies I've seen, I'm making something of an assumption in saying that I think Ríos was/is a 'popular singer' in Spain, who took a minor diversion into sort-of prog territory in the mid-to-late '70s, when Spain's slightly late progressive scene was at its peak. 1973's Canción Para Un Nuevo Mundo is that rarest of things, a genuinely progressive rock single (six minutes long, well before Bo Rhap, folks), complete with massed choirs, several sections, classical quotes (seems it's based on a piece by Dvořák)... This is completely potty and all the better for it, while the flip, El Furgón Llamado Canguro, is a short, (good) synth-laden ballad. Of course, we get completely OTT Mellotron strings on the 'A' (mixed with brass on the intro? ), cellos and flutes all over the thing from Canarios' Teddy Bautista in exceedingly pleasing style, with huge, lush strings all over the flip, just for good measure. A classic! 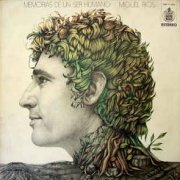 1974's Memorias de un Ser Humano is the first full album of Ríos' 'progressive period', although much of its material (Buenos Dias, Por Si Necesitas) contains elements of Mediterranean string-laden balladry. Best tracks? Probably El Juglar, the pumping La Mina (complete with brass and girly chorus) and the closing title track, but the whole is slightly underwhelming, if I'm going to be perfectly honest. Keys man Mariano Diaz plays uncredited Mellotron, with a tricky flute part on El Juglar, underlaid with cello, but all the album's string parts are real. 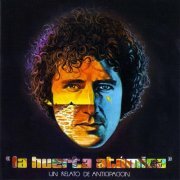 1976's La Huerta Atómica is obviously a concept album of sorts, presumably referring to nuclear war. The music is a rather mainstream version of the Spanish progressive sound, although it has its moments, including the more tuneful parts of La Huerta Atómica itself. On the Mellotron front, Diaz again uses strings pretty heavily, which makes a nice change for a Spanish LP. Flutes and choirs (Bienvenida, Katherine) can also be heard, but surprisingly, the title suite on side two has rather less Mellotron than the bulk of the first side. 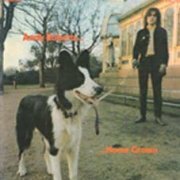 Top track has to be the anti-American rant Yankee Johnny, intoned in English, with shedloads of Mellotron strings all over the thing. 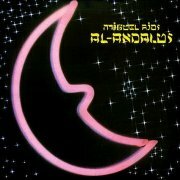 Ríos' last 'progressive period' release, 1977's Al-Andalus, was a superb coda to his experimental phase, shifting between the Arabic scales of the opening title track (going by the font used on the sleeve, there's clearly a link here) to the near-zeuhl of Azahara, the rhythmically complex Un Día en Mojácar, the brass-driven, fusionesque Balada De La Alondra Y El Gavilán and the not-exactly-balladic closer La Blanca Oscuridad. Luis Fornés plays uncredited Mellotron strings, used heavily, on La Blanca Oscuridad, wrapping up yer man's prog period neatly. It seems, superb '73 single aside, Ríos' progressive albums got better as he developed his style; Memorias de un Ser Humano is nothing special, while Al-Andalus is excellent. Mellotronically speaking, however, only that single and La Huerta Atómica are really worth the effort; the only thing stopping the album getting a higher 'T' rating is a slight lack of imagination in its use. Now it's available on CD, you can avoid paying as much as I did for a knackered vinyl copy that looked fine in a dimly-lit Barcelona shop. 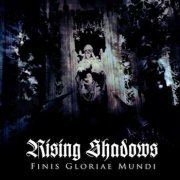 Rising Shadows are the neofolk/neoclassical duo of multi-instrumentalist Fredrik Klingwall (Anima Morte) and vocalist Linda-li, whose third album, 2011's Finis Gloriae Mundi (Ends the Glory of the World), is a record of quiet Nordic beauty interspersed with more rhythmic elements on a few tracks (notably Dissolving The Fabric Of Time). I'm reminded of Dead Can Dance in places, which I've subsequently discovered to be a fairly unoriginal observation, although, by and large, the duo have their own sound; I can't imagine Brendan and Lisa recording anything like Finis Gloriae Mundi itself. Klingwall plays Mattias Olsson (Änglagård)'s Mellotrons, although the only definite sightings are the upfront choir and background strings on Union Of The Fixed And The Volatile and the quiet flutes on Eschaton. Is there more of it on here, Mattias? Anyway, shockingly, at the time of writing, this is available as a free download on the band's site, so get in while you can. More darkwave (i.e. goth) than anything else, this should also appeal to many progressive fans, or at least the ones whose horizons stretch further than tired neo-prog retreads. Laza Ristovski was an on/off member of top Yugoslav/Serbian outfits Smak and Bijelo Dugme throughout the '70s and '80s, also playing with Alvin Lee, Chris de Burgh and other European artists. Although Smak are rumoured to have used a Mellotron, it's nowhere to be found on the only album of theirs on which he played, although he did play one on Laza i Ipe's Stižemo (with Ipe Ivandić) in 1978. 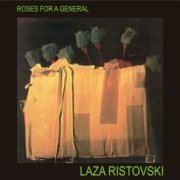 Roses for a General was his fourth solo album, where he took the unusual step of recording an instrumental progressive synth-pop record with jazz influences (! ), which probably did well in his home country and, er, less well elsewhere. In fairness, he took chances musically, not least the strident polysynth part in The First Rose and the Hammond solo in Old Places, although the bulk of the album suffers from a rather samey sound. Another unexpected feature of the album (OK, you expected it, or it wouldn't be here) is Ristovski's occasional Mellotron use, with flutes and strings on Puzzles and a beautifully upfront flute part on closer Old Places, the least 'pop' track here. Roses for a General doesn't appear to be available on CD, and probably isn't worth paying very much for on vinyl, although it does have one very nice 'Tron track. As a sad addendum, Ristovski died in late 2007 at the age of 51, having suffered from MS for some years. Les Rita Mitsouko (France) see: Samples etc. Jean Ritchie was born in Kentucky in 1922, eventually becoming known as 'the mother of folk', having recorded countless albums of folk and folk-inspired music. At the time of writing, Ritchie is not only still living (aged 85), but performing, putting her in the Pete Seeger league of musical longevity. As much as for her singing, she's known as one of America's chief exponents of the lap dulcimer, as against the better-known hammer version. Her first album, Traditional Songs of Her Kentucky Mountain Home, was recorded at the dawn of the long-playing era, in 1952 and while her recorded output has slowed from the '70s on, her most recent album appeared in the late '90s and it's presumably not inconceivable that she may record again. 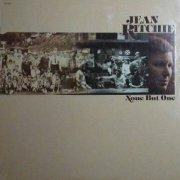 1977's None But One was something like Ritchie's 24th album, appearing on the Sire label, making her a contemporaneous label-mate of The Ramones. I wonder what she thought? Label boss Seymour Stein obviously had the breadth of vision to sign both artists, though, which has to be applauded. None But One is a mix of more obviously traditional folk songs (the beautiful old English ballad Fair Nottamun Town, the title track) and countryish material (Too Many Shadows, See That Rainbow Shine), with a modern backing in places. Some listeners may find Ritchie's delivery a bit old-fashioned, but given that she was in her twenties before she even heard the radio, it's highly commendable that she allowed producer Al Steckler to foist so many modern influences on her music. Ron Frangipane's Chamberlin can be heard on a few tracks, starting with an ethereal flute line on opener Fair Nottamun Town, with what I presume is a background Chamby strings part on The Orphan's Lament. It's real recorders on The Riddle Song (sorry, I can't hear this without thinking of the scene in National Lampoon's Animal House), but those strings crop up again on Sweet Sorrow In The Wind, although that would appear to be it. 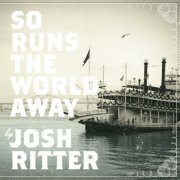 Josh Ritter is a singer-songwriter with an Americana bent from the old school, so no nasty, breathy 'confessional' vocals here, or slick, polished, glossy production tricks. 2010's So Runs the World Away (Hamlet quote) is a decent, if not outstanding album, highlights including Folk Bloodbath, which channels the well-known legend of Stagger Lee/Stackolee, the lengthy Another New World and the Dylanesque Orbital. Sam Kassirer plays Mellotron on four tracks, with a polyphonic cello part on Lark and strings on The Remnant and Another New World, although there's nothing obvious on Orbital. Overall, partially worth hearing, although at over fifty minutes, this could actually have been improved by some judicious editing, I suspect. Anyway, not bad album, passable Mellotron use. Ritual (Sweden) see: Samples etc. 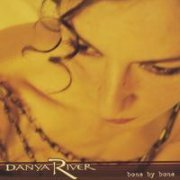 Danya River comes from a new-agey musical family, so it's no surprise that her Bone By Bone EP sits in slightly jazzy/bluesy folk territory, probably at its best on its title track and closer Excalibur, her more rhythmic material doing little for this listener. Wil Masisak is credited with Wurlitzer and Mellotron on Stir My Honey; well, the former's present and correct, but the Mellotron? Like some other recordings Wil's played on, it seems to've been mixed out, although he still gets the credit. A pleasant enough listen, then, but no Mellotron. Johnny Rivers (US) see: Samples etc. 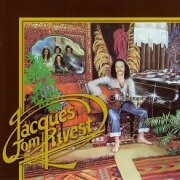 Jacques Tom Rivest was a mainstay of excellent Québecois proggers Pollen (one self-titled album, no 'Tron), releasing his eponymous solo debut in 1979. It's less 'progressive' than 'singer-songwriter' with a folky edge, although some tracks stray into semi-symphonic territory, not least Voyage Au Tibet and La Nuit. Even the more straightforward numbers hold the listener's interest, though, making this an adjunct to the Québecois prog scene, if not an integral part of it. Mellotron on most tracks from either Rivest himself, Claude Lemay or Richard Lemoyne, with strings and an unusual 'Tron sax melody on La Langue De Son Pays, with more strings on Voyage Au Tibet, choirs on Clown D'Un Soir and Toujours Plus Haut, with more strings and choirs on Trouver Ma Liberté, although little of the Mellotron work (excepting the sax part) breaks any new ground. But then again, why should it? It provides a decent strings and/or choir backdrop to several tracks, sounding a whole lot better than the string synth that crops up here and there. So; not exactly prog per se, but proggish, with a good selection of songs; something many prog outfits could learn from, I feel. Decent music, not bad 'Tron, worth hearing. Rivulets (US) see: Samples etc. 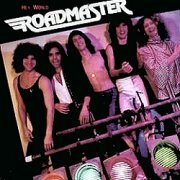 Roadmaster (presumably named for Buick's iconic car) released their Mellotron-free eponymous debut in 1977, following up the following year with Sweet Music. The album seems to be revered in some quarters as a 'pomp classic', but all I hear is a fairly lightweight AOR effort with a few pomp tropes, notably on the two longest tracks, Higher, Higher and the closing title track, easily the best thing here. The rest of album's made up of mainstream AOR (opener It Doesn't Mean A Thing), half-hearted rock'n'roll (I Must Be Dreaming) and Clavinet-and-(real)-strings driven pop (I'll Be Lovin' You), best avoided all round. Keys man Michael Read adds Mellotron to a few tracks, with strings on It Doesn't Mean A Thing, Higher, Higher, Circle Of Love and the title track, partially doubled with synth. Barely scrapes three stars and those only for Sweet Music itself. '79's Hey World lacks its predecessor's attempts at chart-pop, but also lacks its sparse pomp delights, the most progressive things here being the Rainbow Waterfall/Looking For The Day segue, along with the opening title track and Say You Wanna Be With Me's nice multi-synth parts, but we're clutching at straws... The rest of the record's split between the expected AOR tosh, bad rock'n'roll and worse ballads, so it lacks even Sweet Music's highlights. Read's Mellotron work encompasses flutes and strings on I'm On My Way, strings on Say You Wanna Be With Me and strings, flutes and choir on Rainbow Waterfall, so no more overall than on Sweet Music. The rumoured Mellotron on their last album, 1980's guitar-heavy Fortress, turns out to be just that - rumoured - with Read restricted to organ and a smattering of synth. Neither of the above albums is exactly earth-shattering, although both have their moments, including Mellotronic ones, though not enough to make them worth shelling out serious dosh. Roadside Graves (US) see: Samples etc. Missy Roback (US) see: Samples etc. Robbers on High Street (US) see: Samples etc. Janet Robbins (US) see: Samples etc. 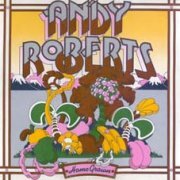 Andy Roberts is a British folkie/singer-songwriter type who has spent a chunk of his career in one version or another of Plainsong, playing with ex-Fairporter Iain Matthews, participating in various versions of The Bonzos, even playing in Pink Floyd's 'surrogate band' on The Wall tour... You name it, he's done it. He's managed to squeeze in a few solo albums over the years, too, principally in the early '70s, of which Home Grown is the first. Confusingly, it's been available in two different versions, a 14-track RCA issue in 1970, and a 10-tracker on B&C the following year, with the latter having been remixed, whilst losing five tracks and adding one. Confused? It seems the original version is now out on CD, while all tracks from the latter are on Just for the Record, a compilation of Roberts' work. So, wossit (or they) like? Er, countryish folk rock, by and large and not in a terribly exciting way, to be honest. Perfectly competent, just not very... exciting. The title track is amusing enough, as you might expect from the title, while Gig Song tells it exactly how it is on the road, but the album's two Mellotron tracks are also its finest: Queen Of The Moonlight World is nearer folk than country, with a lovely MkII strings part, utilising that machine's smooth-as-a-baby's-bum pitchbend extensively, while The One-Armed Boatman And The Giant Squid is a lengthy proggish folk effort with several MkII brass parts added to liven it up. Notably, the original version of the album is better than the shortened re-issue; why do record companies do this? This isn't actually worth it for its Mellotron work, so I wouldn't splash out too much unless you're into UK country/folk. Incidentally, Roberts spent a short time in '71 in Everyone, recording one album with some minor Mellotronic input. Justin Roberts (US) see: Samples etc. The half-Mohawk Robbie Robertson (The Band, of course) was asked to compose some music for a TV series about the Native American people, releasing the results as Music for the Native Americans. It's an intriguing mixture of authentic chants and drumming with modern instrumentation, although Robertson over-eggs the pudding on most tracks, laying down too many contemporary keyboards, not allowing the real voices on the record enough space. The sleevenotes are actually more interesting than the music, painting a grim picture of the incalculable damage caused by the 19th-century white American to an ancient and traditional way of life; all the more tragic given the state of the 'red man' now, not to mention how similar damage is still being wrought across the world. 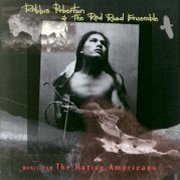 Unfortunately, in his efforts to make Native American music palatable to 'Western' ears, Robertson seems to have created a new and not entirely welcome genre: Native American AOR. Although some of the musical backing is sympathetic, much of it is deeply unnecessary, knocking a whole star off the album's rating. The album's presence here is explained by the Chamberlin on opener Coyote Dance, played by Bill Dillon, with some faint choirs hidden amongst the plethora of programming, a.k.a. don't get too excited. So; that rarity, a pop or rock album that gives a voice to the Native American - pity it isn't a little better, although I feel rather churlish for running it down. Anyway, very little tape-replay, so don't bother on that account. Anthony Robustelli (US) see: Samples etc. Robyn (Sweden) see: Samples etc. 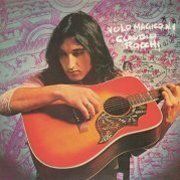 Ex-Stormy Six bassist Claudio Rocchi released his second album, Volo Magico n.1, in 1971, playing contrasting styles on opposite sides of the LP, with a side-long jammed-out piece on the first side, and three more straightforward singer-songwriter tracks on the reverse. This is actually only borderline progressive, to be honest, with Volo Magico being more late-period psych, and none of the shorter tracks having enough complexity to really qualify. However, none of them are bad at what they do, although it all sounds a bit trippy to my ears, and probably won't appeal to your average fan of the Italian '70s progressive scene. There's a little Mellotron on Volo Magico, though there's a slight possibility it's real strings. Either way, it only turns up twice during the lengthy piece, with a short chordal section each time, so we're not exactly talking essential listening here. There's also some unidentified woodwind on the closing ballad Tutto Quello Che Ho Da Dire (probably the album's best track), but it's almost certainly real. 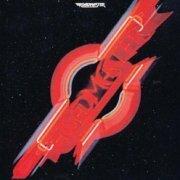 So; OK album, mediocre 'Tron, not really for progheads at all. And for what it's worth, yes, there was a Volo Magico n.2, although its main title was La Norma del Cielo. 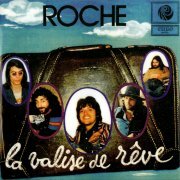 I believe 1974's La Valise de Rêve was Roche's only album, although information on the band isn't particularly forthcoming. They were a five piece, led by vocalist/pianist Patrick Roche, including some ex-Heldon guys, generally described as 'progressive', although tracks like Jouer Le Jeu (rock'n'roll) and the near-chanson of Londres give the game away; this is basically a singer-songwriter effort in a progressive style, like quite a few French (and French-language) 'prog' albums. It's far from being a bad record, highlights including Le Cavalier Des Vagues and Final, but the overall vibe borders MOR a little too closely for comfort. Dominique Perrier plays Mellotron, with flutes on the opening title track, a major string part on Dis-Moi, more strings on Coloré Dans Tes Yeux, strings and flutes on La Mélancolie Du Dimanche Après-Midi, strings and brass on Le Cavalier Des Vagues, pitchbent strings on O Viens, flutes and strings on Maggy M'a Dit and, finally, flutes, strings and brass on closer Final. So; neither the best nor the worst album you'll hear all year - you'll need a reasonable tolerance for French chanson to listen to it at all - but you might consider it worth the effort for its major Mellotron use.